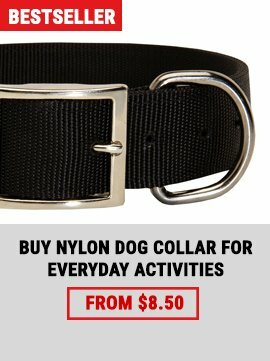 Do you know that walking your dog is one of ways to express your love and care? Just as fish need to swim and birds need to fly, dogs need to walk. 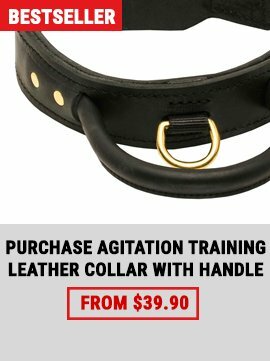 It makes your dog healthy and strong. Daily walking provides your four-feet friend with exercise. As the saying goes: ‘’Good health is above wealth!’’ Regular walking is also a great chance to practice obedience skills with your dog and reinforce your bond with him. 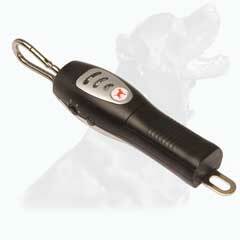 It fulfills a migration instinct for a dog, provides an outlet for his energy. Walking should be the first step in solving any behavior problem. So, spend a few minutes to read our newsletters and get to know everything you need for healthy and enjoyable walking. 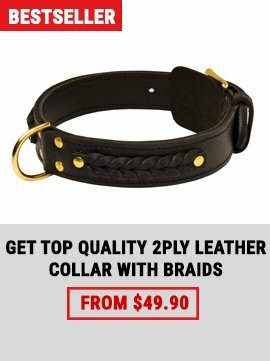 We can make this collar to fit dogs with neck size 18 inch and up to 27 inch (45 cm - 70 cm) This Collar Is Extra Wide - Almost 1 3/4 Inch - Which Makes It Perfect Tool For Handling Large And Active Breeds This Leather Collar Is Made With Symmetrical Proportional Vintage Look Rusted Nickle Large Plates!